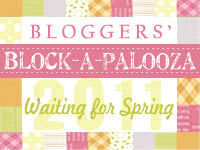 Jelly Roll Jam + a Giveaway!! Hey y'all! How's everyone doing? I've got something fun to share with you guys! 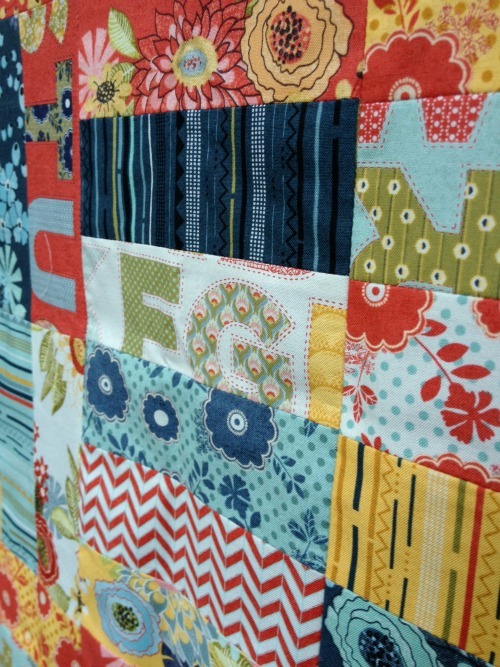 The folks over at Fat Quarter Shop are sharing their first "shortcut quilt" with a free pattern and video tutorial. Not only is this quick little pattern free but the video tutorial is free to view on YouTube too - how neat is that? Fat Quarter Shop was kind enough to send me a Jelly Roll of BasicGrey's PB&J test the pattern out - so cute! This top came together so quick and easy! Unfortunately, with preparing for Sewing Summit and all ('I'm up to my armpits in alligators' as my mum would say), I wasn't able to get this little guy quilted up but I will! 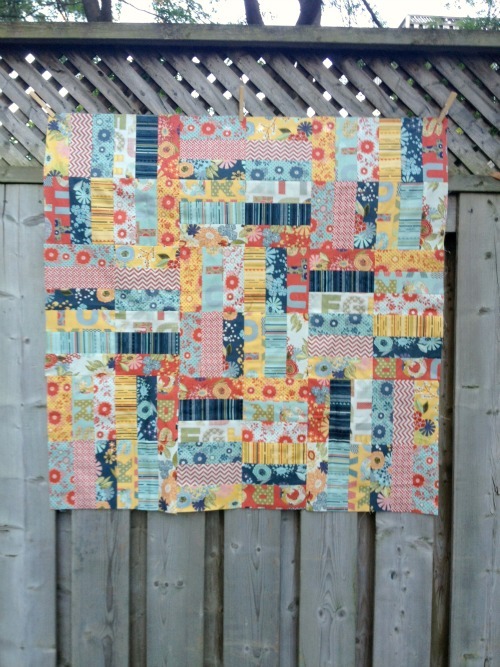 This pattern uses half of a Jelly Roll for a 36x36" top - that means that you can make two sweet little baby quilts from one Jelly Roll - awesome! 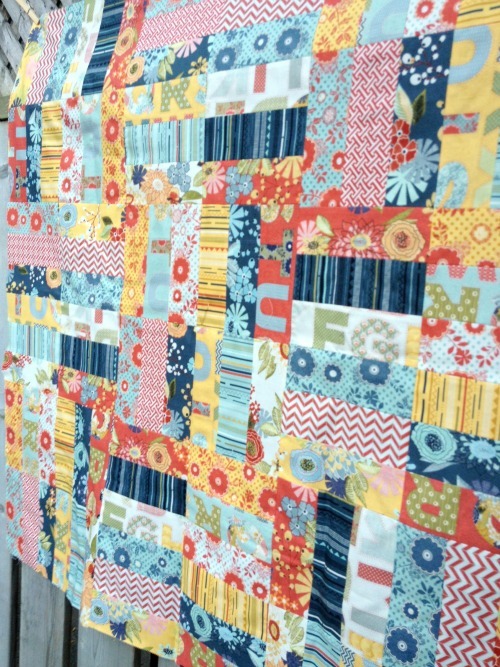 This pattern is very beginner friendly and would be quite easy to quilt on a home machine- just good things all around! I cannot say enough about how simple this was to do - really, you should give it a try! 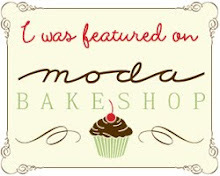 A Lush Uptown Jelly Roll by Erin Michael for Moda- woot! Now I bet you want to know how to enter, right? 1. 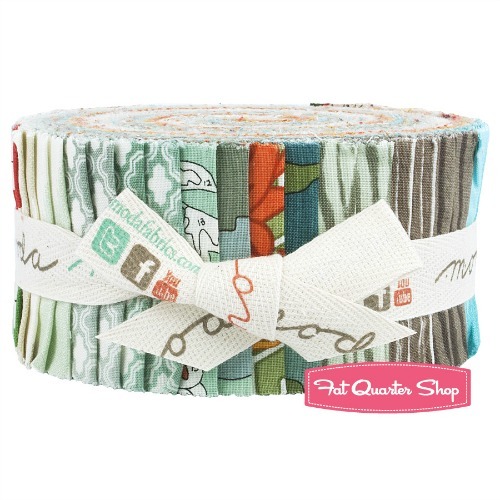 Leave a comment letting me know what your favourite Jelly Roll at FQS is. That's it! Two easy-peasy ways to enter! I will close the comments in a week (September 23rd) and announce the winner here on the blog. International entries are, as always, welcome! Also, please remember that I have comment moderation enabled so if you don't see your comment right away it just means that I haven't had the chance to approve it yet (duplicate comments will be deleted). Hey y'all! Things have been quiet around these parts lately but that's because I'm in the middle of getting everything ready for the EPP class I'm teaching at Sewing Summit - I cannot believe that it's only 10 days away. I'm so excited! But let's not talk about that right now, let's get onto a fun, new tutorial - woot! 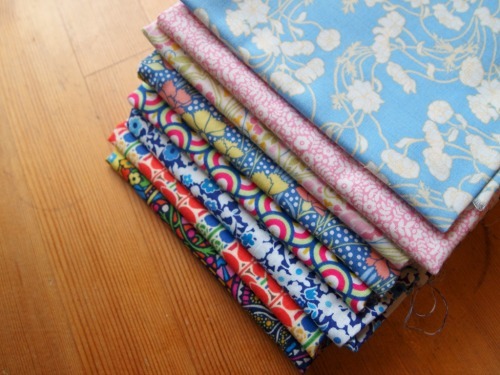 I received these lovely fabrics in the mail a couple of weeks ago from Liberty of London and Sew, Mama, Sew. These fabrics are from the Stile collection by Liberty Art Fabrics and they are lovely! You would not believe how excited I was to receive a package marked with the Liberty logo in the mail - I've never been able to buy anything directly from Liberty, so it was quite a treat! Now why, you may ask, would Liberty and SMS possibly send me these beauties? 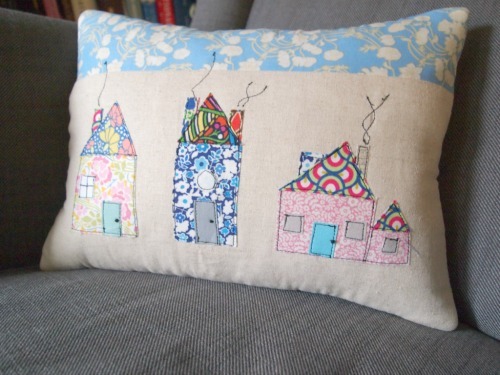 To take part in a super-fun pillow challenge of course! 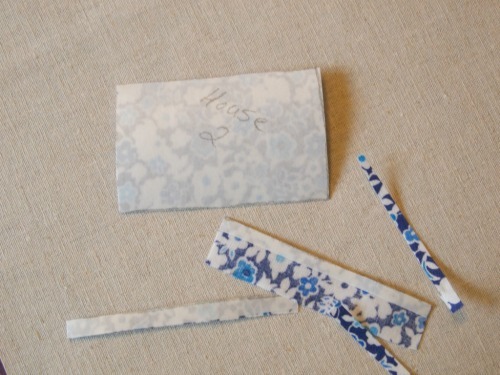 And, because I'm me and I love to write patterns, I decided to turn the challenge into a tutorial - woot! Introducing... Welcome to the Neighbourhood! 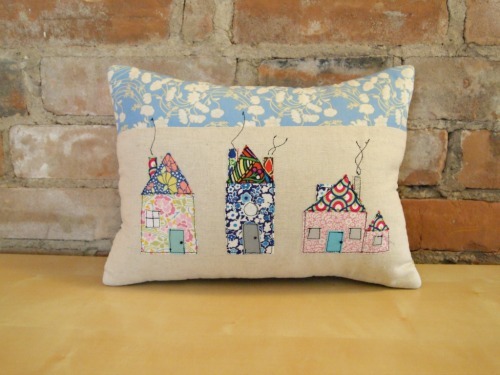 This little pillow uses all 8 of the Liberty prints I was sent, plus a few solids, to create a little gathering of sketchy applique houses! 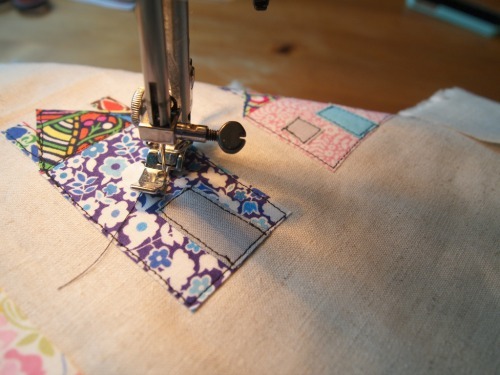 This tutorial is more about the applique than the specific dimensions of the pillow itself so you can feel free to make it any size you'd like (mine is about 9x13"). So let's go! 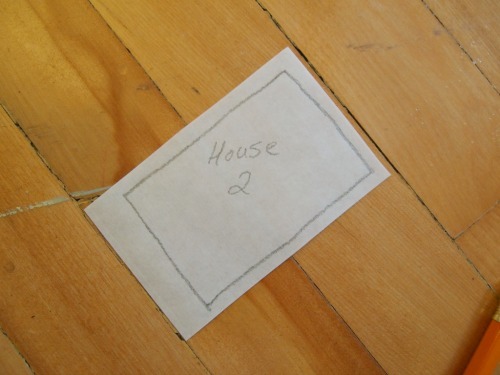 Print off the houses template (print at 100% without scaling). 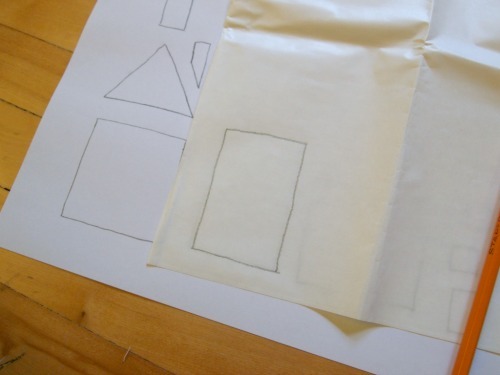 Using your fusible web, trace each piece from the template onto the paper side. Cut out the templates from the fusible web, leaving a little bit of room around each template. 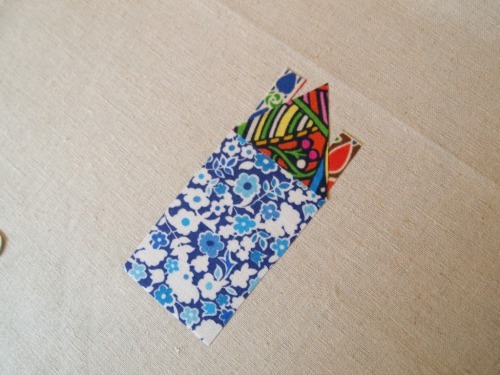 Label each template so that alignment and fabric selection is easier. Following the directions for your specific web, steam the template (glue-side down) to the wrong side of your fabric. Cut out each template along your tracing lines. 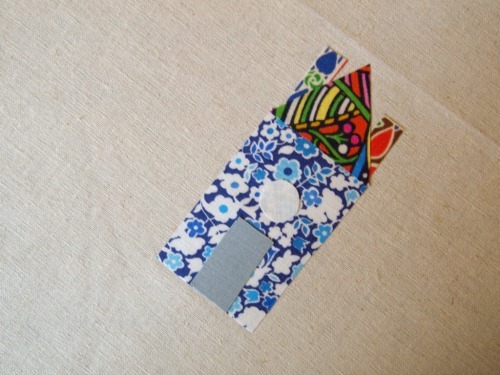 Peel off the paper backings and decide on the placement of your pieces against the linen background fabric - as you can see from the picture above, the roof overlaps the chimneys and a teeny bit of the body of the house. Follow the directions for your fusible web to fuse them into place. Repeat the above with the window and door pieces. Fuse into place. Now here's where we get to the fun sketchy bit! Using your black thread, stitch around all of the pieces that you've fused. This is supposed to look sketchy and slightly uneven - try not to get hung up on perfection here! It's all part of the fun! Make sure to go around each bit so that they are permanently stitched down. As you can see, after I finished sketchy-stitching my bits down, I added another strip of Liberty fabric across the top to resemble the sky. I also added some sketchy wisps out of the chimneys, and hand stitched a french knot onto each door for a door knob. 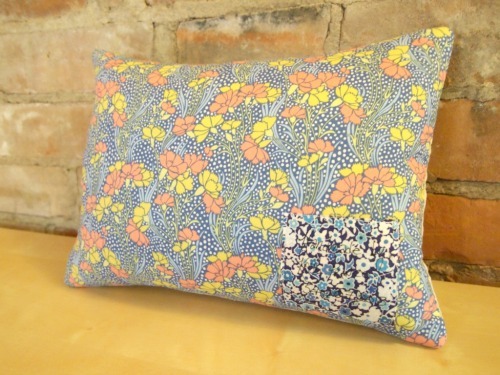 I finished off the pillow by stitching a piece of cotton batting to the wrong side of both the front and back pieces of the pillow to give it a little loft. 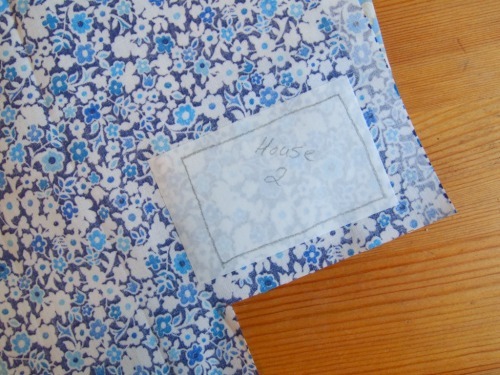 I used another Liberty print on the back (and for the label) and did a simple turned finish. 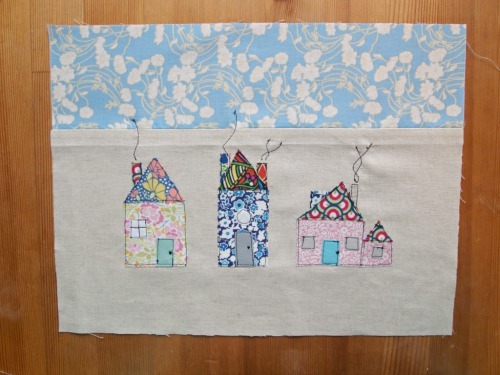 I hope you like my little tutorial and that it inspires you to try some sketchy applique - it's quite fast and fun! If you do end up using the Welcome to the Neighbourhood templates or tutorial, I would love to see it! Either share it in my Flickr group or feel free to drop me a line! Thanks so much to both Liberty of London for the fabrics and to the entire Sew, Mama, Sew team for putting this challenge together - I sure had a good time!